Ernest was born in Hadleigh in 1896. 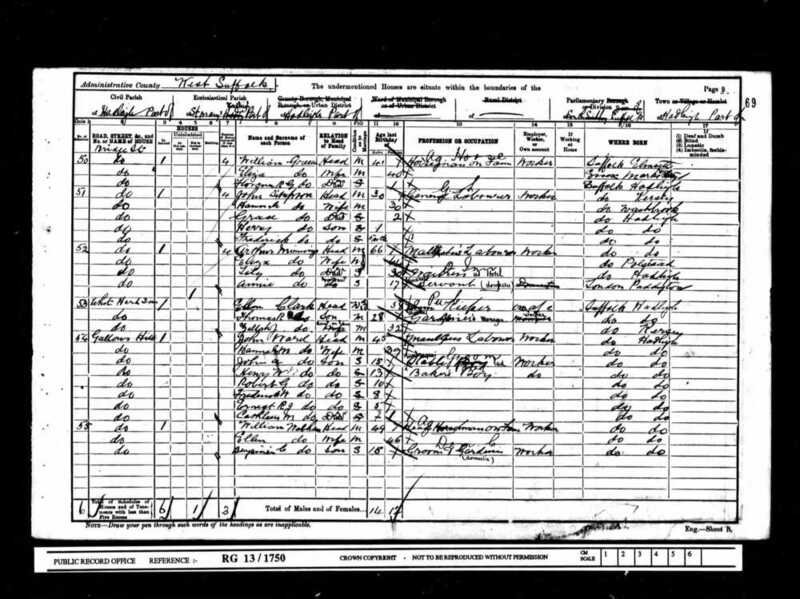 The 1901 Census report him as living at home with his parents John and Hannah Maria and his siblings; John A (15), Henry W (13), Robert G (10), Frederick (8) and Kathleen (1) at 1Gallows Hill, Hadleigh. By 1911, older brothers John, Henry and Robert have all left home. John had married Alice Carter and moved to 5 Calais Street and Henry and Robert had both joined the Army. In 1911 Ernest was working as a fishmonger's assistant. 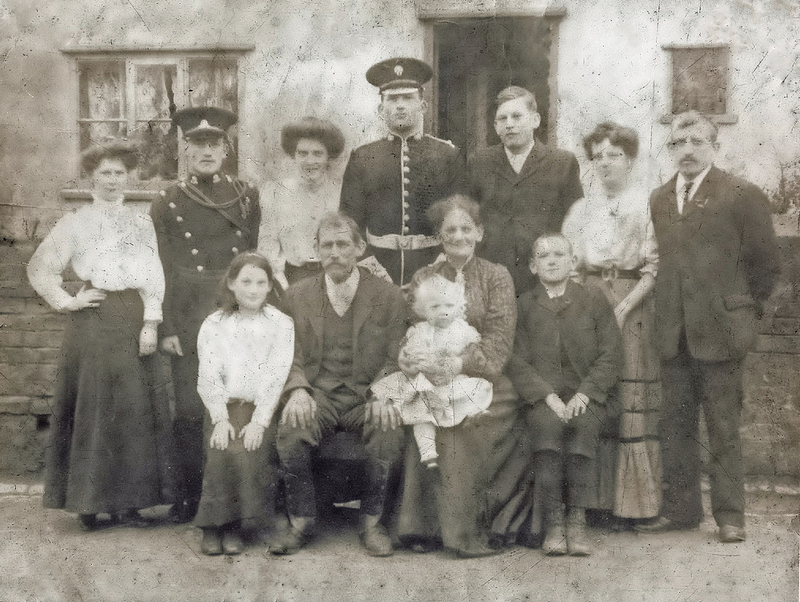 The family photo below was taken in October 1909 when Ernest was 13 years old. He is the young chap sat on the right on the front row. By the time war breaks out, this family have four sons serving in the Army. Henry Ward (rear, second from left) joined the 16th Lancers in 1908. He married Alice Finch (standing on his right, rear, left) in 1911. He went to France with his unit on 17 August 1914. He survived the war and re-enlisted into the 10th Hussars in 1918. He was awarded the Long Service and Good Conduct (LS&GC) medal in 1926. He was still in Army 1928. He died Totnes, Devon in 1967. Alice died in 1916. At the time Henry was granted compassionate leave but could not get home before the funeral. He remarried 1921 to Ester Stillwell. Robert Ward (rear, centre) joined the Grenadier Guards in 1908. His unit were also one of the first to arrive in France after the outbreak of war. Robert saw a lot of action and was awarded the Military Medal for Gallantry. During his time overseas he was a frequent letter writer and used to correspond with his old headmaster at the Hadleigh Boys School, Mr Hariss, who would publish excerpts from the letters in the local press. Sadly, Robert was killed during the war and you can read his story on this website. Frederick Ward (Rear, 5th from left) enlisted into the 5th Suffolks in August 1914 and went to Gallipoli with them the following July. 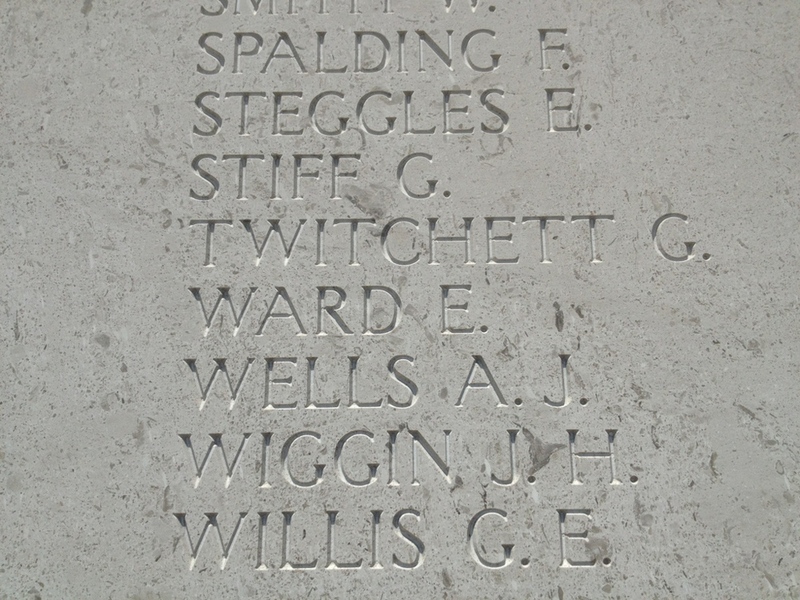 He was evacuated on the 17 August 1915 suffering from shell shock. He was no doubt a casualty of the 12 August advance. He later re-joined battalion and later transferred to Machine Gun Corps on 10 August 1916. He served in Gaza and Palestine. He was wounded on several occasions and suffered severe attacks of dysentery. He married in 1919 and died Samford Dist. 1974. Given his age and regimental number, we believe that Ernest enlisted into the 5th Suffolks in 1911 when he was only 16 years old. Service with the local territorial battalion was appealing to some young men as it offered a taste of adventure, camaraderie and best of all a free two-week summer camp each year. 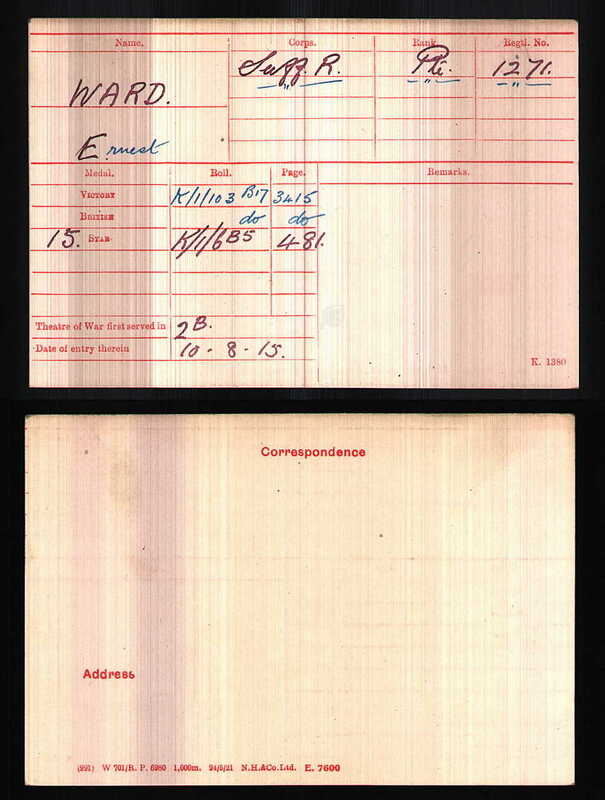 If we assume that Ernest had joined the battalion before war broke out then we know that he would have been mobilised on the night of the 4th/5th August 1914. The whereabouts of Private Ernest Ward's Medals are not known, however, he was entitled to the above three medals. In 2002 a new housing estate was built in Hadleigh. A number of the houses on the estate were allocated as military quarters for service personnel serving in the area. During the planning phase for this development it was decided that since the estate would have a military connection, that the street names would be named after local military heroes. Ward Close was named after the Ward brothers. We hope that this page has been able to tell the story of Ernest Ward. If you know of any information which might help to add to the story then please get in touch.